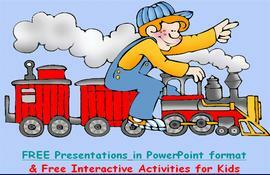 Engaging interactive activities for grades K - 5. The activities incorporate content areas such as math and reading while introducing basic computer skills. Research-based and standards-aligned free educational math games and language arts games will engage, motivate, and help teach students. 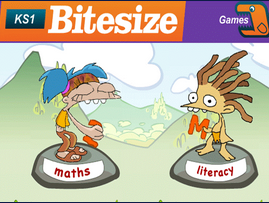 This website contains both Math and literacy interactive activities. Each activity has three levels of difficulty: Medium, Hard, and Really Hard. 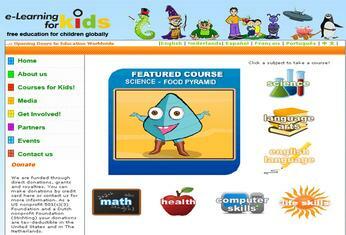 An educational website designed to help master academic skills for ages 5-12. 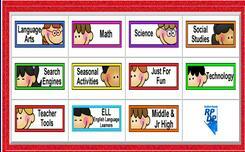 Activities are sorted by subject, skill and age. Great visuals and sound effects. Kerpoof is all about having fun, discovering things, and being creative. You can make your own cards, drawings, movies, books, and more. 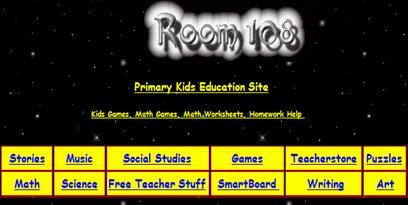 Room 108 is primary education site for kids. 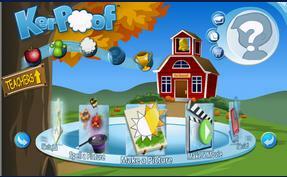 There are lots of free online games but all with an educational focus. There are over 400 pages of kids educational games, interactive writing, animated stories, songs, kids puzzles, art, math, science, social studies, distance learning and much more. A great resource for primary kids games and teacher teaching resources! Games and activities for Letters, Numbers, Shapes, Sorting, Music, Art, Stories and much more. Great interactive activities to use with or without a SmartBoard. An educational website to help your child master the standards specific to their grade level.